Beaver Brook Pet Center is a full-service animal hospital and boarding kennel whose mission is to proactively provide the highest standard of care for your pets. Our full service pet lodge has designated cozy accommodations for dogs, cats, birds, ferrets, rabbits and many other exotics! Please visit our Boarding page to find all the information you need to have Fido or Fluffy well-cared for while you are away. Our grooming salon offers services from full grooms to a la carte options. 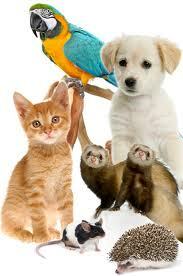 Remember, at Beaver Brook Pet Center, your pets are our family! Access your pet's medical information, request an appointment or prescription refill. We are fortunate to have a team of dedicated, caring people as your pet's healthcare team. Each and every one has been called to this profession by a deep respect and love for animals. We look forward to getting to know you! "Top tier and world class. Dr. Atlas is amazing, everyone is professional, helpful and is great with open communication. Thank you,"